Roscoe G. Bernard, 90, passed away on June 14, 2018. He was born in Eureka, KS to loving parents, George and Geraldine who preceded him into Heaven. Also preceding him was his first love, Frances and second love, Barbara, as well as his sister Juanita and cherished son, Michael. He is survived by his daughters, Leanne (Walter), Sherri (Jack), and son Bob (Judy); grandchildren Sierra, Ashley, Mariah, Lindsey and Rhys, six great grandchildren; his brother Ted, Topeka, KS and his beloved companion Mary. Using his Bachelors and Master’s degrees, Roscoe dedicated his life to making things better for the students and community he served. As a lifelong educator, he began his career teaching in a one room rural school house in 1948. His career continued in the Hickman Mills School District where he was the principal of Baptiste Jr. High and then Safety Director for RW Harmon and Sons school transportation. Both in his career and home life, he was a constant educator, instilling strong values in every life he touched, through the lessons he taught and the high expectations he had of others, all practiced with love. He was a wonderful provider for his family in every way. He served his country as a corporal in the United States Marines Corp and his community as an elected and appointed school board member in 1999 and 2006. 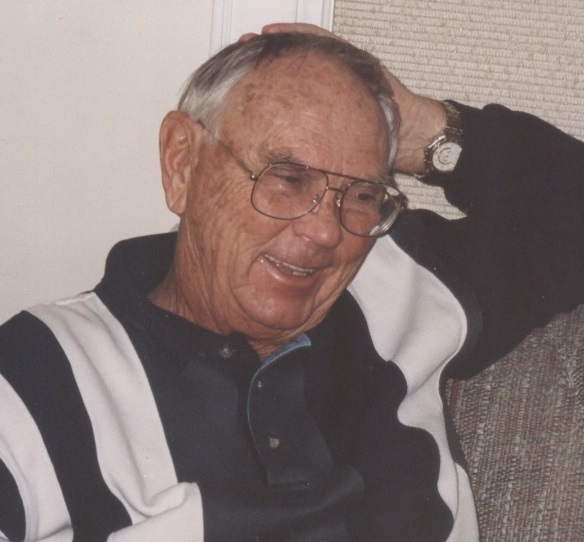 Roscoe proudly cherished everything to do with his family and the time he spent on the Kansas family farm, where he often could be found with a fishing pole in hand. When not fishing, he enjoyed a good game of cards or a trip to the casino, as well as tending his garden, much to the delight of family and neighbors who reaped the reward of roses and fresh vegetables. He often took pen to paper, where he expressed himself through letters to loved ones, short stories and shared his life story by wiring his own book about his life, which was printed and bound. He was fiercely independent, even to the end of his life, never wanting to be a burden to his family. His gentle way of guiding his children, his dancing blue eyes, ornery pranks and commitment to always seeing the good in people, will be missed. A Celebration of a Life Well Lived will be held at Unity Village, 1901 NW Blue Parkway, Unity Village, MO (Lee’s Summit), July 25, 2018, 3:00 pm, Fillmore Chapel. As Roscoe would have preferred, the family requests comfortable attire, preferably wearing shorts if desired. Contributions to honor Roscoe’s’ life can be made to Saint Luke’s Hospice House, 3516 Summit Street, Kansas City, MO 64111, where his end of life care was dignified with amazing love and care. We are glad you are finally resting in pain free peace. Remember, our hinges of love for you will never grow rusty.